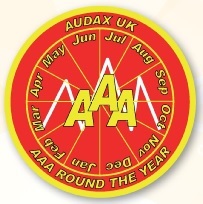 AAARTY badge - Red and yellow design. I'm on a begging mission, for this much coveted and presumably unavailable patch. Does anybody happen to have a spare one of these kicking about? Could I line your palms with silver (coloured) coins? Go on, make a fellow Grimpeur's day. FWIW, I do now appear on the roll of honour. I slight typo makes me James Lundlow, and Ludloy on the AAASR roll of honour. I've been called worse, in both instances. Re: AAARTY badge - Red and yellow design. I couldn't see it on the website. I might be being blind though? You are right... better not bother then... which is a relief!! I can only assume there will be a new style badge coming, bit I'm mot a fan - it won't match my 100 patch! Edit - you do know they can count towards both? I'm pretty sure you can only claim a 100km or more section as part of a longer DIY, but you can do the hilly 60km section and the 110km for fun! James pretty sure I've got one of those badges I bought the whole suite a few years ago and they have sat in a draw ever since, I have more coveted versions so happy to let you have it. Let me check next week when back at work. Have you checked with Oliver? those badges used to be held by Steve Snook he may have passed them on. It's one of these things though... sounds great in May, but then I run out of steam in September. I think winter is a good opportunity to rest and be fresh the following spring, rather than risk a collar bone or worse for the sake of a badge. I never found the saying "winter miles summer smiles" to have any truth in it... if anything it is the exact opposite... those who cycle long distance in winter seem to get to April completely worn out. Winter pies make chubby thighs. With the 100, this will leave just one spot on the saddle bag for the most coveted of all! Cheers for that! As it happens, I pinged off a payment for my 100 this morning, so I'm gonna have to get the needle and thread out soon. 3x3 is a work in progress, but I'll hopefully tick that off next season. I'm using my Wessex SR patch in lieue of the SR. I was refering to the GdS gold patch as the most coveted of all.
. I was refering to the GdS gold patch as the most coveted of all.